Are you looking for music that will have everyone up on the dance floor having an absolutely awesome time? How do you please family members of all ages, your friends and your own taste in music? The solution is SILENT DISCO. 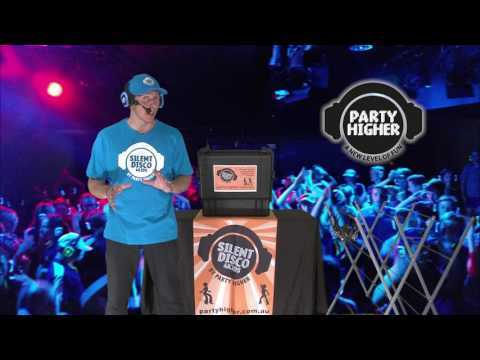 Party Higher Silent Disco is the perfect 13th, 16th, 18th, 21st, 30th, 40th, 50th, 60th, 70th, 80th… Birthday Party Idea. Having a Birthday party just became hassle free. We will come and set up the equipment, Provide Lights, Lasers, Smoke machine, Headphone stands, signs, Professional DJ, Licensed music playlists and Staff to manage the headphone stands. Let us make your job of organising your next birthday party easy. SEE PRICING PACKAGES BELOW. 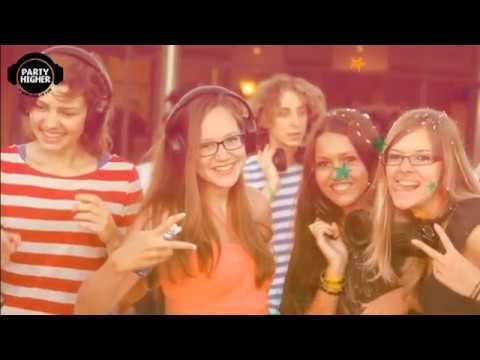 At a Birthday Party Event, normally if you did not like the music you would sit the song out or walk away complaining but now with Party Higher Silent Disco, you can flick to see what is playing on the other two channels and continue to dance. This enables different genres to be played to suit different age groups. ·*You can have a Silent Disco Birthday Party or have a normal DJ with speakers and then when it gets late switch to Silent Disco so you can party into the early morning. You were so right, when we switched over to Silent Disco it took the party to a new level of FUN. No one wanted to get off the dance floor. It was brilliant. I love the fact that we could talk and socialize – it was great for older family members who could join in and be there. Normally they would not cope with the loud music. You even had my parents on the dance floor. Well done. Awesome service, awesome night. Teenagers love loud music yet our neighbours don’t. You provided the perfect solution. Thanks for your professional, outstanding service. Jade’s party was a huge success. We will definitely be using your services again for my son’s next b’day.